‘Yangtze’ daylily flowers are a cheerful lemon yellow color that will brighten up any garden space. This repeat bloomer begins flowering in late-spring and continues through summer. In warmer zones, the attractive foliage is evergreen. These daylilies look great tucked in perennial borders and in butterfly gardens or planted en masse. To maximize blooms, plant daylilies in full sun. They will, however, tolerate some light afternoon shade. If they are planted in heavy shade foliage may persist, but flowers will be sparse or may stop altogether. Daylilies prefer well draining soil but can tolerate some salinity. Once established, ‘Yangtze’ daylily is fairly drought tolerant; but plants will benefit from supplemental waterings in the heat of the summer. 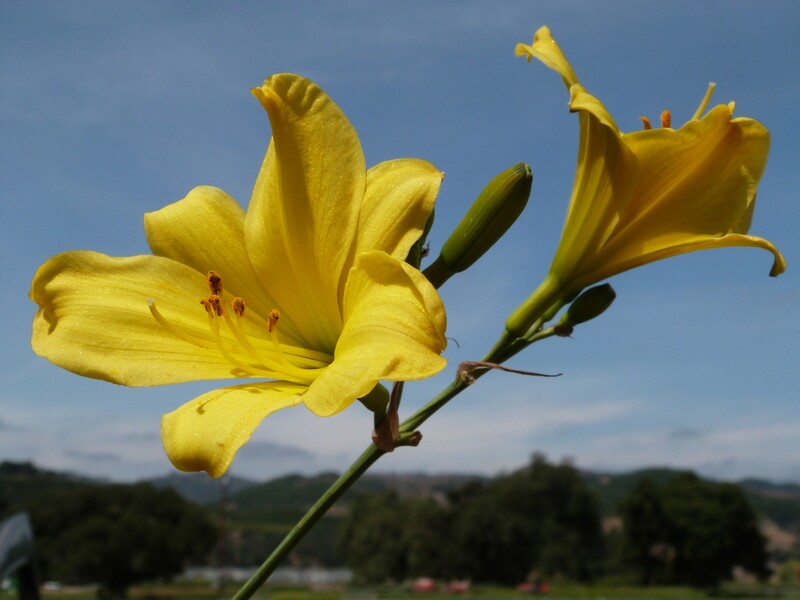 Although they are fairly tough and not very susceptible to many pests and diseases, daylilies can occasionally have problems with rust, leaf streak fungal outbreaks, aphids, thrips, and scale. Adding ‘Yangtze’ daylily to your landscape is a great way incorporate dependable summer color.